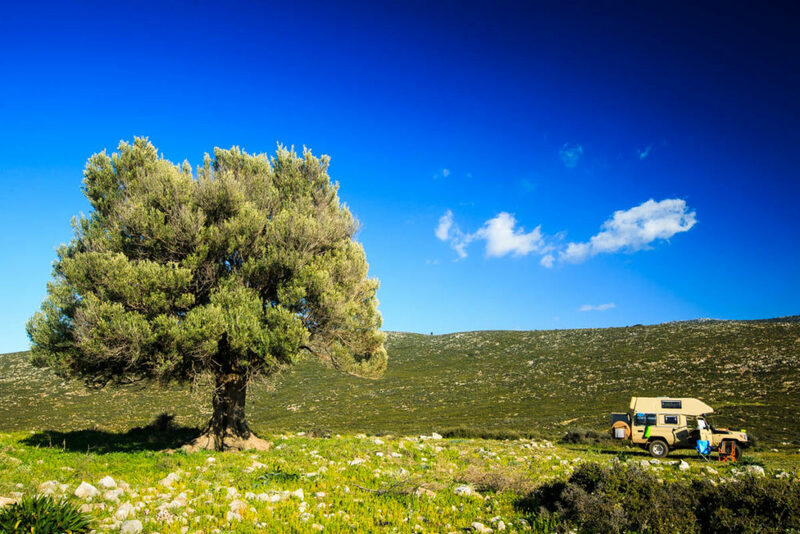 Greece – beautiful campsites, just for yourself. Greece, the first country on our trip around the globe that has been more than “just” a transit country, like Austria and Italy. Interested in more information, our highlights and lowlights, just check-out this page. Border crossing experience: No issues or any kind of problems due to Schengen area. If you are keen on discovering Greece from above, here you go. Video is filmed by us and the music has been produced by Ali Raini. Ali, thanks for that once again, it really uplifts the video, so turn on your speakers and relax for a couple of minutes. So what are now our highlights and lowlights in Greece, what would we recommend you to see and what maybe not? 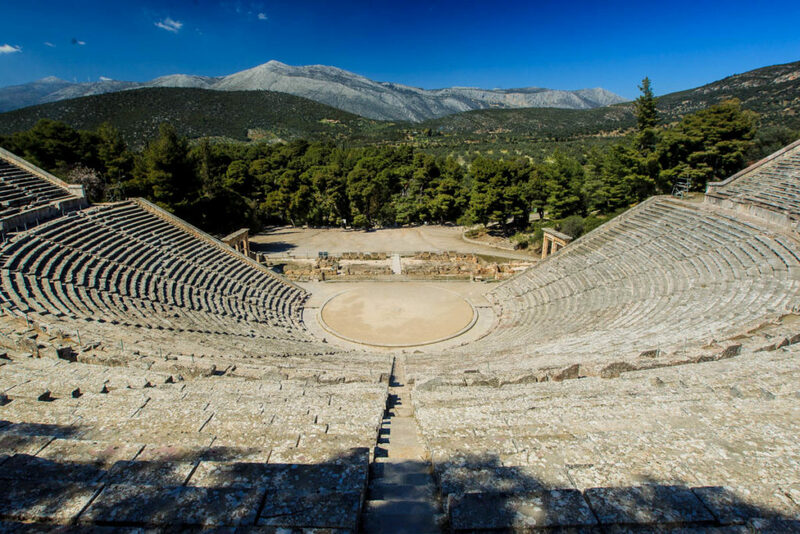 Epidauros – Surely a place to be added on you to-do list. Just the theatre alone is worth it in our opinion, but also otherwise an interesting place. 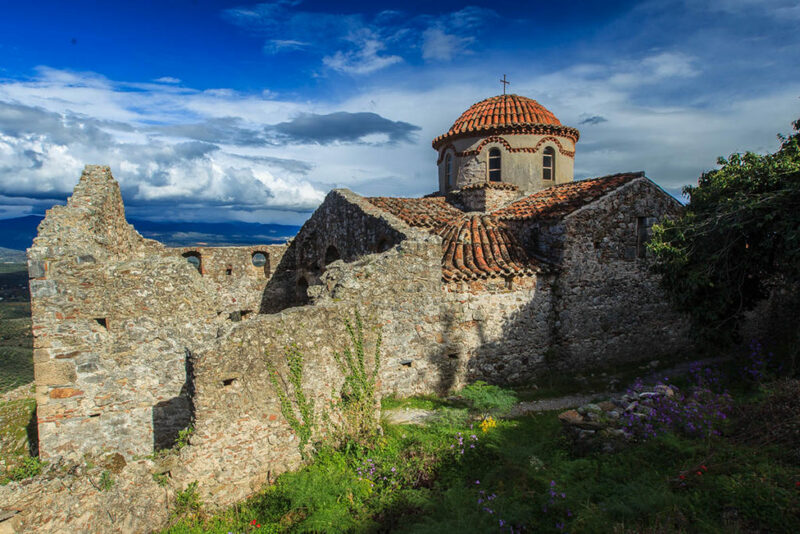 Mistras – A place we had not on our list at all and came across more or less by accident. Beautiful old monasteries lined up on a hill. 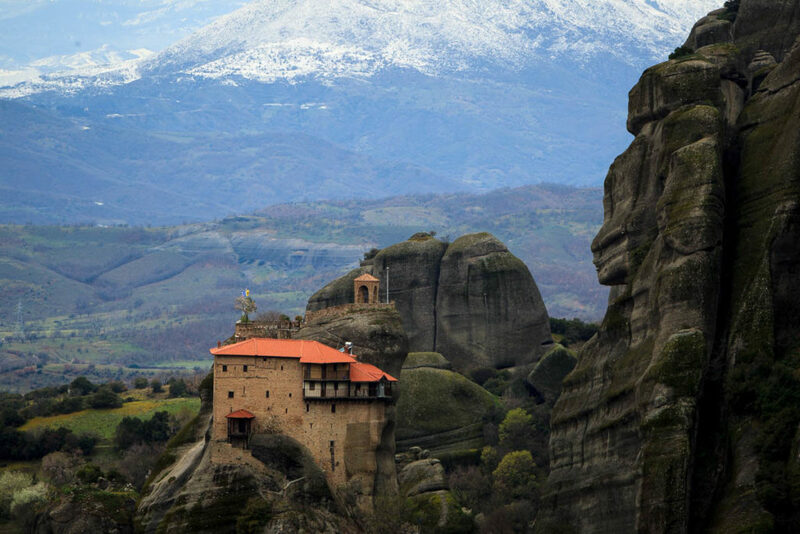 Meteora – One of the must see’s in Greece. Of course a tourist highlight and rather crowded, but still. Unfortunately we had bit of bad luck with the weather, but worth getting there for sure. 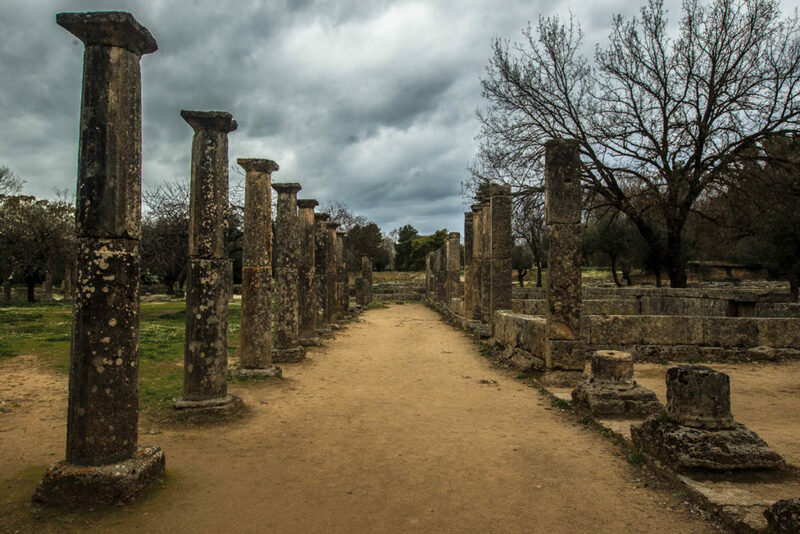 Olympia – If you are in the area and have the time, okay why not, but in our opinion not worth driving there “just” to visit Olympia. Not much to see and there are other stadiums in Greece in much better condition, so somehow living from the famous name. In general we were surprised in a negative way by all the waste laying around literally everywhere we visited. Even in the remotest areas, you can find waste everywhere. Overall it has not been as easy as we thought and/or were told to find a nice wild camping spot like in other countries, however it is possible during off-season. Maybe we have rather high requirements when it comes to our spots, but it is doable to find great ones. Just be prepared to spent some time to find them (which can be lot of fun, especially if you drive a 4×4). Want to know more about our time in Greece? Just check out our related blog posts. Next country on our list after our Greece visit will be Turkey. Error: Error validating access token: Session has expired on Tuesday, 05-Mar-19 00:59:45 PST. The current time is Tuesday, 23-Apr-19 21:51:57 PDT.